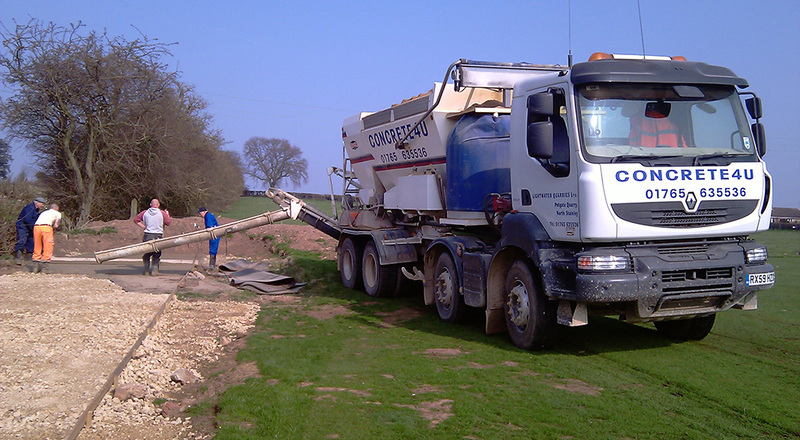 Volumetric concrete offers significant service advantages over traditional methods of concrete delivery. The Volumetric mixer is for all intents and purposes a mobile concrete batch plant. It carries the raw ingredients to a site in separate compartments and mixes them to the customers’ requirements at the point of use. This method of delivery allows for our customers to have a much more flexible service while offering environmental benefits such as no wasted materials and better fleet efficiency which reduces our CO2 emissions as volumetric concrete can offer a multi-drop service. Volumetric concrete mixers eliminate the need for part load charges and issues with sites over or under-ordering concrete. Our customers can estimate the amount of concrete needed and when we get to site we can work with them to only mix the exact quantity needed to the wheelbarrow full…then we only charge our customer for what they use! BSI Quality accreditation combined with no mess and no part load charges help us to offer the best in customer service in our industry. Volumetric concrete enables us to wait a reasonable amount of time for our customers to lay the concrete therefore guaranteeing they have the right quantity and quality for the job. This sets us apart from traditional drum mix deliveries because we mix as we go we are able to spend more time with our customers as we are not restricted by the life of pre-mixed concrete. 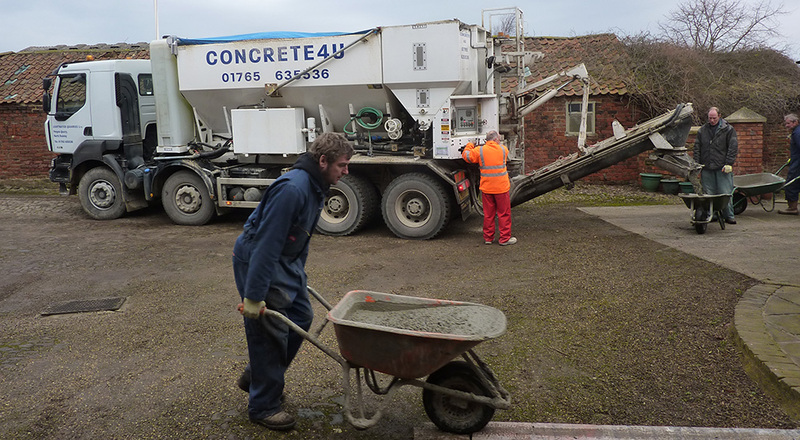 We also provide two wheelbarrows for our customers to use while we mix the concrete. When on site we can also help our customers and vary the consistency of the concrete and supply anything from a dry mix for curbing to a wet mix for foundations, this flexibility to go from dry to wet and then back again is often used on busy sites where customers can get much more done from a single delivery from us than they would be able to had the concrete been delivered on a traditional drum mixer.